There's nothing like summer in Wisconsin! 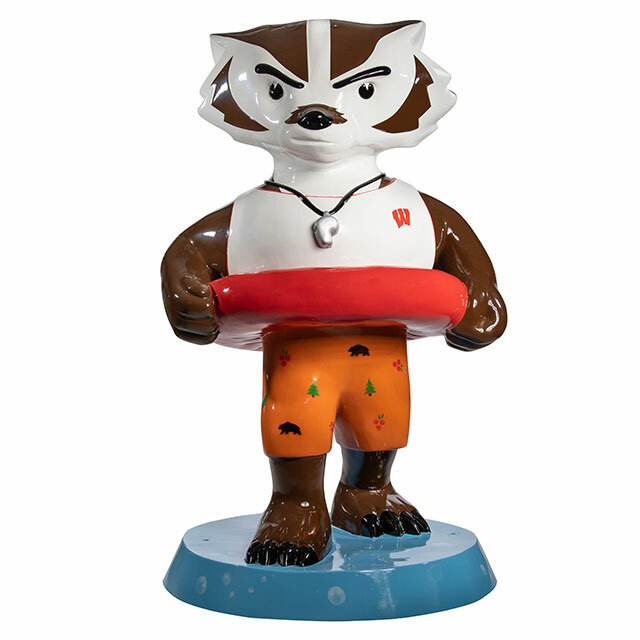 With his whistle, swim trunks and innertube, Bucky is all set for a day at the pool. 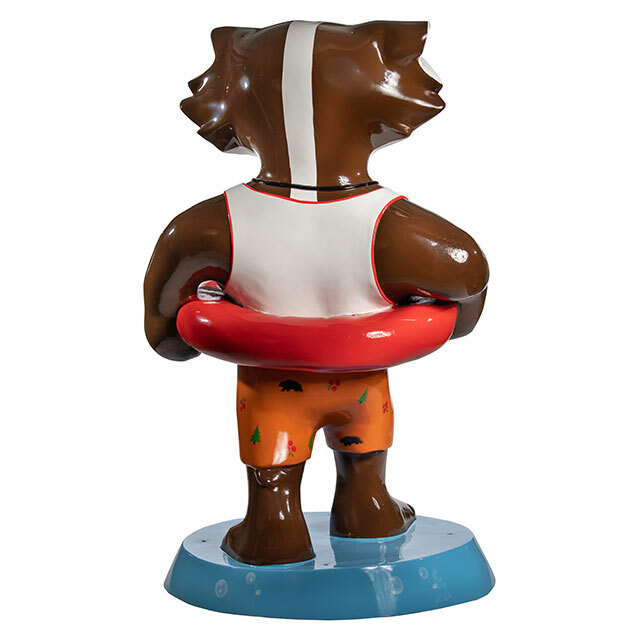 FAST Corporation is the premier manufacturer of fiberglass statues, roadside attractions, themed water slides and larger than life creations of all kinds. They have hand-crafted fiberglass into giant apples, pumpkins, cows, and now Buckys, for thousands of organizations around the world. Along with manufacturing all the Bucky on Parade statues, FAST also painted several.